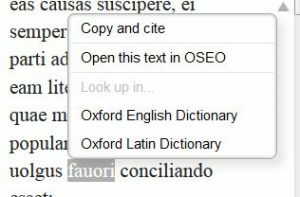 Choose Oxford Latin Dictionary and see the results! Try it out and let us know what you think. Email eaccess-admin@middlebury.edu or contact your liaison. 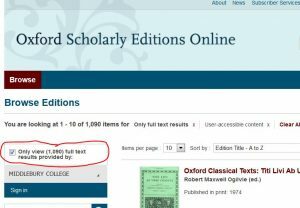 This entry was posted in Library and tagged Library Spotlight, trials, trials FY 18, trialsandnew on October 16, 2017 by Arabella Holzapfel.